Canada and Mexico are dealing with lingering hard feelings over last summer's surprise Mexican trade deal with the United States as their new continental trade pact awaits a final stamp of political approval. Two weeks ago, the head of a visiting delegation of Canadian parliamentarians told the newly installed Mexican foreign minister his country threw Canada "under the bus" last August when it forged a bilateral trade deal with the United States during the renegotiation of the North American Free Trade Agreement. A top Mexican trade official tells The Canadian Press that while there may have been a misunderstanding, the U.S. side deal was the work of the previous Mexican government, and Canada and Mexico's new leaders are moving forward constructively. The side deal between the U.S. and Mexico appeared to blindside the Trudeau government, forcing Foreign Affairs Minister Chrystia Freeland to abort a three-country trip to Europe. Canada and U.S. negotiators reached an 11th-hour agreement that was signed two months later on Nov. 30 by the country's three leaders: Prime Minister Justin Trudeau, President Donald Trump and former Mexican president Enrique Pena Nieto, who was on his last official day in office. 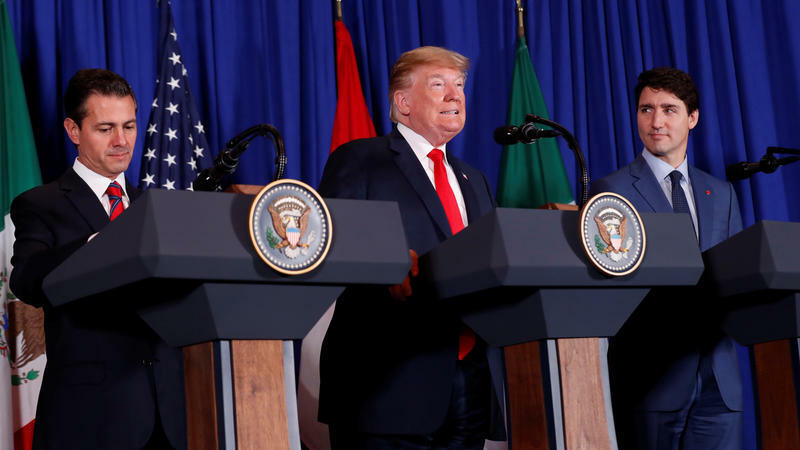 The deal must now be ratified by the legislatures of all three countries, but with turmoil in Washington and a slowly-shuttering political window in Ottawa with a fall federal election on the horizon, that is far from certain. 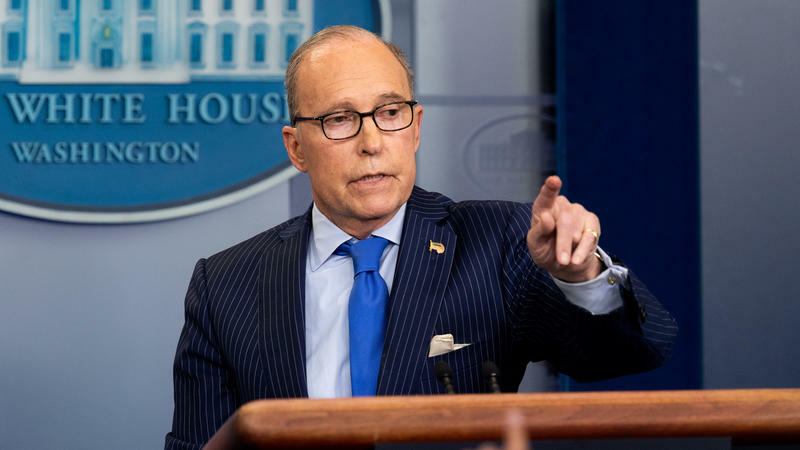 Moreover, Canada and Mexico insist the Trump administration will have to lift its punishing tariffs on their steel and aluminum exports, which the mercurial president imposed under a controversial national security clause in U.S. trade law both countries say was illegal. Canadian and Mexican politicians have been holding a series of regular meetings and exchanges, including a two-day session of parliamentarians in Ottawa this week, and a gathering of the ParlAmericas group, a network of legislators from 35 Western Hemisphere countries, earlier this month. The head of Canadian ParlAmericas chapter, Liberal MP Bob Nault, expressed Canada's dissatisfaction about last August's Mexican side deal with the country's new foreign minister, Marcelo Ebrard, during the organization's Mexico City meeting earlier this month. "We did say very clearly in our last meeting in Mexico with the foreign affairs minister that we were frustrated with the feeling that Mexico was sort of moving away from the trilateral agreement," Nault said in an interview. Nault said he was concerned about "the way it unfolded at the end," and a perception "that Canada got thrown under the bus by Mexico." He said that represented a break from "what we originally felt was the approach, that is, Mexico and Canada had to be very close to each other to make sure we got a good deal for our countries and make sure the U.S. didn't overtake us." The Canadian Press has previously reported, citing anonymous sources, that Freeland gave Mexican negotiators an upbraiding over their bilateral deal during an August meeting in Washington. "I think it's getting better," Nault said this week of the relationship. "Overall, we both have the same position: we want the tariffs removed. We want them removed now. We want to move forward with ratification." Luz Maria de la Mora, Mexico's deputy trade minister, acknowledged the past Canadian complaints, but she said the two countries are moving forward constructively. "That was part of the negotiation process ... right now, it's over," de la Mora said in an interview. "The previous administration in Mexico was responsible for doing that. But at the end of the day, it might have been the case that it actually helped the process." The Mexico-U.S. side deal marked the start of nearly two months of intense talks between Canadan and American negotiators because the Trump administration imposed a Sept. 30 deadline for Canada to sign on to the U.S.-Mexico pact or potentially be cast adrift. De la Mora succeeded Juan Carlos Baker, one of Mexico's top negotiators, when the new Mexican government of Andres Manuel Lopez Obrador was sworn in on Dec. 1. Lopez Obrador won the Mexican presidency in July, branding himself a socialist reformer dedicated to ending decades of corruption and improving the plight of Mexican workers. His term didn't begin until Dec. 1, which left a window for the Pena Nieto government to finish negotiating a trade deal that Lopez Obrador would have to sell to his country's lawmakers. During the transition, members of Lopez Obrador's team joined the Mexican negotiators, but de la Mora said they acted as observers, not participants. She said that extended to the Mexican decision to move forward with a bilateral deal with Canada. "We were not involved in that decision at all," de la Mora said. "If at some point during the negotiations there were misunderstandings or miscommunications, those moments are over." She cited the fact that half a dozen of her cabinet colleagues visited Ottawa in November before they were sworn in, in order to forge a good working relationship. "It would be very positive that the three countries have this agreement approved this year, really. It would be something that would send a really good signal to the markets." President Trump's trade announcement has drawn mixed reactions. For some leaders, the fact that Mexican and U.S. negotiators worked out their differences is encouraging. It is a sign that the United States and Canada will be able to do the same. However, others say the deal with Mexico could be disastrous for the U.S.-Canada relationship. After one White House adviser said there was "a special place in hell" for foreign leaders like Canadian Prime Minister Justin Trudeau, and another said Trudeau "stabbed us in the back," Canadian leaders offered a measured — even polite — response. Canadian Prime Minister Justin Trudeau says Canada will not sign onto a North American Free Trade Agreement that does not include a dispute resolution mechanism and exemptions for cultural industries. Trudeau says the dispute resolution mechanism in Chapter 19 ensures trade rules are followed.